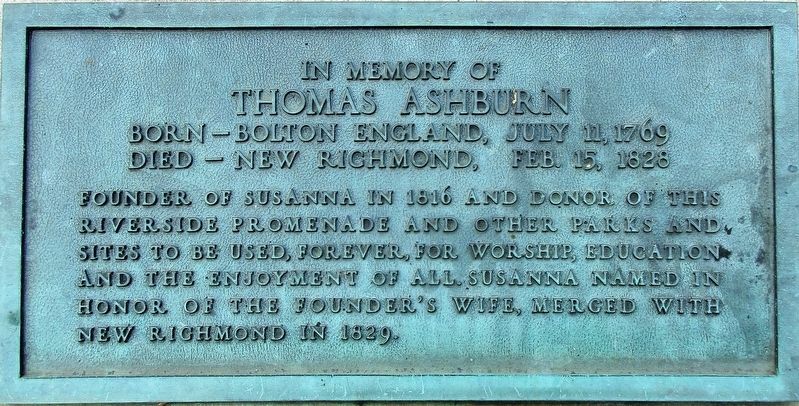 In memory of Thomas Ashburn born – Bolton, England, July 11, 1769 died – New Richmond, Feb. 15, 1828 founder of Susanna in 1816 and donor of this riverside promenade and other parks and, sites to be used, forever, for worship, education and enjoyment of all. Susanna, named in honor of the founder’s wife, merged with New Richmond in 1829. Location. 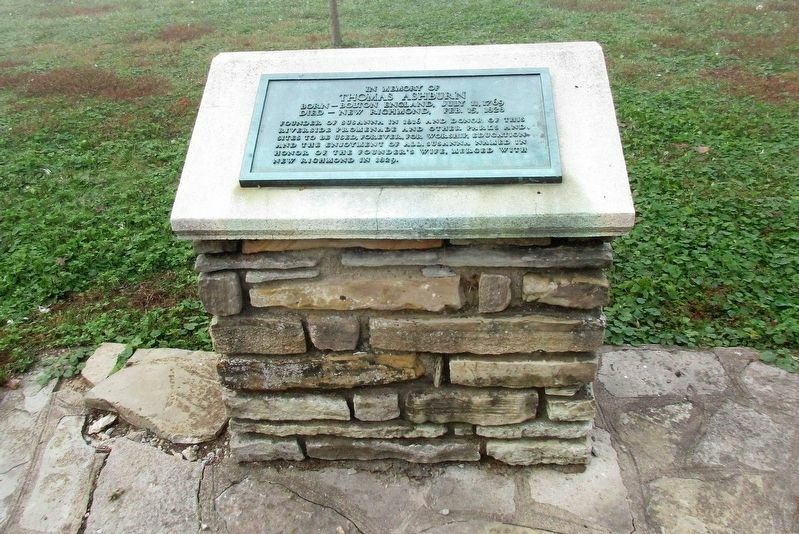 38° 56.868′ N, 84° 16.869′ W. Marker is in New Richmond, Ohio, in Clermont County. Marker is on Susanna Way, on the right when traveling east. Touch for map. 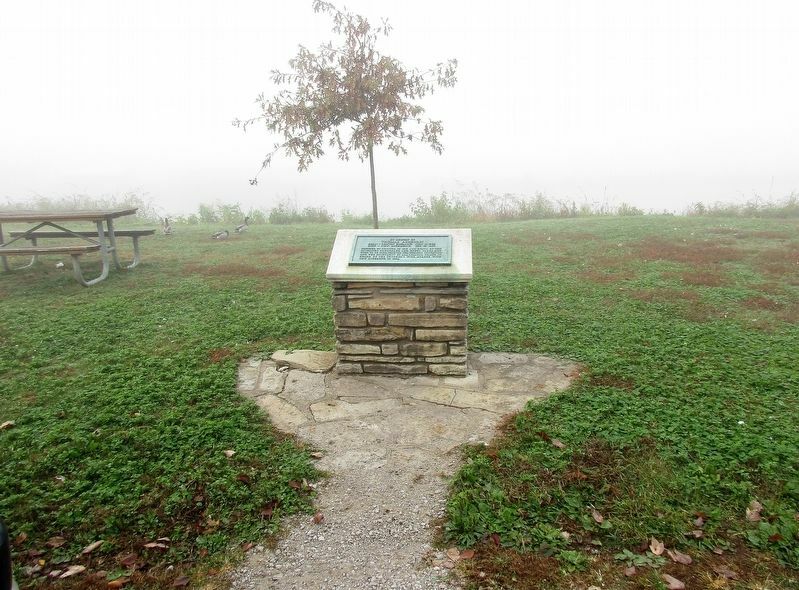 Marker is at or near this postal address: 299 Susanna Way, New Richmond OH 45157, United States of America. Touch for directions. (about 700 feet away); Founding of New Richmond (approx. 0.2 miles away); New Richmond (approx. ¼ mile away). Touch for a list and map of all markers in New Richmond. More. Search the internet for Thomas Ashburn. Credits. This page was last revised on November 25, 2016. This page originally submitted on November 19, 2016, by Rev. Ronald Irick of West Liberty, Ohio. This page has been viewed 143 times since then and 3 times this year. Photos: 1, 2, 3. submitted on November 19, 2016, by Rev. Ronald Irick of West Liberty, Ohio. • Bill Pfingsten was the editor who published this page.